Tim Flannery is the 3rd base coach of the San Francisco Giants for 8 or 9 months of the year, depending on World Series appearances and such. When he isn’t waving home runners for the G’s, he is playing G chords (and C’s, and D’s) and surfing the Pacific. Nice work if you can get it, eh? 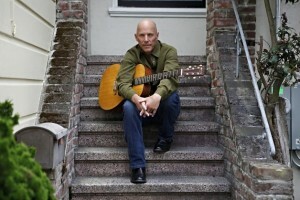 While the Giants and their amazing, fun-loving fans are looking forward to an Orange and Black October, many of us can’t wait until the offseason; that’s when Tim Flannery the singer and songwriter let’s his love light shine, playing with a joy that defines both the man and his music. The man they call “Flan” is an acclaimed singer/songwriter and philanthropist whose music has been described as “Americana”; steeped in both folk and bluegrass influences, along with music from his Celtic roots. Last winter, WillPower Entertainment brought Tim to Napa and Tim brought his music and his friends, including Bob Weir of The Grateful Dead. The sold-out concert benefitted Giants fan Bryan Stow and was an all time night to remember at the Uptown. On January 26th, Flannery and friends are doing it again as he brings “Lunatic Fringe”, his band of acclaimed musicians including Dennis Caplinger, Jeff Berkley, Dean Smith, Shawn Rohlf, Turi and Brent McClain, and Barbara Nesbitt. In addition, Tim counts Willie Nelson, Jackson Browne, Bonnie Raitt, Bruce Hornsby, Emmylou Harris, Phil Lesh, Jackie Greene, and numerous others as his many musical friends and invitations have gone out to join him in Napa. Grab your tickets early to the VIP Reception (with wine, beer, food, and an benefit auction) and stay tuned as many guests are announced. It’s sure to be another night to remember.